Rediff.com » News » Just who was Sadiq Batcha? Just who was Sadiq Batcha? Sadiq Batcha, a key aide of former telecom minister Andimuthu Raja who committed suicide on Wednesday, was the Managing Director of Green House Promoters Private Limited. The MBA graduate and young entrepreneur, who hails from Raja's native town Perambalur, was also allegedly the former minister's business associate. A Kaliaperumal, Raja's elder brother, is the Joint MD of Green House Promoters. The company was floated months after Raja became a Union minister in 1999. Soon, the real estate company flourished, acquiring huge tracts of land in the state's small towns and selling it at a huge premium. Also Read: Was Batcha 'removed' to save 2G culprits? Batcha and his company came under the Central Bureau of Investigation scanner for the first time when it turned out that the company indirectly benefited from the spectrum scam by getting shares of a company which, in turn, became a partner in Swan Telecom -- one of the beneficiaries of the first-come-first-served policy. 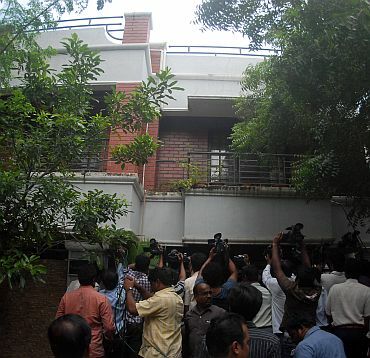 The CBI had conducted raids at his office in Chennai in January, though the details were not revealed. 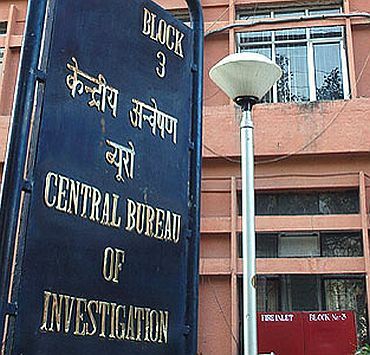 The first time Batcha came into the investigation net was when Enforcement Directorate officials paid a secret visit to Perambalur for preliminary investigations. It was alleged that Batcha had forcibly acquired large tracts of land from the poor at cheap rates and sold it to MRF for a bomb. 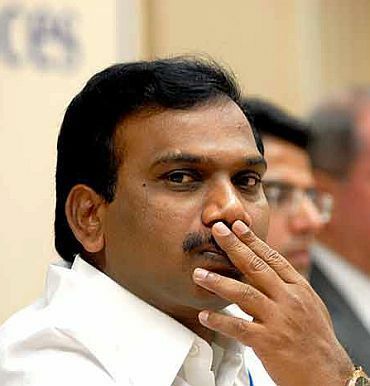 After the raids, investigators said the prime angle was to find out if and how Batcha had diverted funds made from the 2G spectrum scam into other ventures. Batcha was virtually a nobody till A Raja became an MP for the first time in 1996. Batcha, born in Tamil Nadu's Karur district, has three brothers. While Batcha stayed in Karur, his brothers Jamal Mohammed and Jaffar Ali got into the real estate business. It is said that Batcha moved from Karur to Perambalur to earn a living. He had a modest beginning, selling mattresses and clothes as he went from door-to-door on foot, before graduating to a cycle. 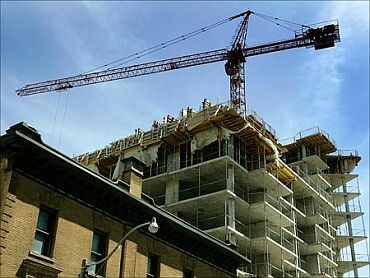 It was around this time that he got acquainted with people in the real estate business. He began as a broker, scoping out for land wherever his salesman job took him. Soon he was lured by the lucre of the real estate business and began buying land himself. Those who know his origin say he would buy land from someone and give the party a token sum upfront. Then, when he sold it to a bigger party at a profit, he would settle the original party using the proceeds. As he tried to diversify, he took huge sums of loans from banks and private lenders. As some of these ventures failed, he came under huge debt. As the lenders closed in, he needed the services of a lawyer. That lawyer was A Raja. Those were the days before Raja entered politics. He had just finished his law studies and he bailed out Batcha. Thus, a friendship was also struck. Raja got a DMK ticket for the Perambalur reserved Lok Sabha seat in 1996. As he rose within the DMK ranks, Batcha rose in the real estate sphere. Raja's win again in 1999 (Raja's first term lasted a mere 13 days as the NDA government fell) and rise as a union minister, coincided with the floating of Batcha's Green House Promoters. Raja's wife Parameswari was initially part of the company. She then withdrew into the background, as Raja's nephew Paramesh Kumar joined in. Kumar soon became a builder, doing construction work for Batcha. Soon allegations started surfacing that whenever important infrastructure projects were announced for Perambalur, the land was already acquired at low rates by Batcha and his group and that is where trouble started. 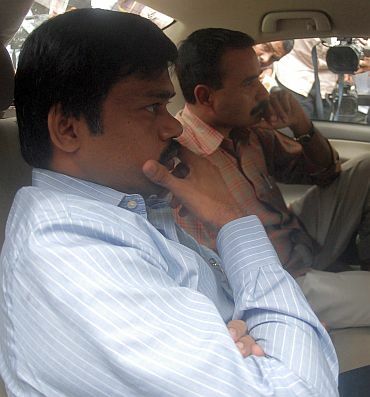 With the 2G spectrum scam surfacing, it was compounded and has finally ended with his suicide.